It’s time for another Sweet Saturday Samples! Here’s another snippet from Sparking a Change. It’s a short story that will be available from Astraea Press at the beginning of September. It should be a quick, fun read. Lights glittered around the gazebo and shone on the cover band picking out the tunes of Johnny Cash as Meg wove her bicycle around to the bike corral on the corner of the park. The whole town had gathered with blankets and lawn chairs, sparklers and ice cream for the Independence Day celebration. American flags streamed from the businesses surrounding the park. Patriotism was fervently displayed in Ducks Landing on the sultry summer evening. Meg parked her bicycle in the stand at the side of the park and unhooked the chin strap of her helmet, thankful her summer internship in the small town allowed her to ride her bicycle around rather than use the bus for transportation. The parking lots around the park were jammed, so she didn’t have to search for a parking spot either. She finger-combed her shoulder-length bob after clipping the helmet around the handlebars. The humidity made her dark hair curl up in tight ringlets. Most people hated the humidity, but for some reason, her hair looked better, more uniform curl rather than bed head on one side and my-dog-slobbered on the other. She shook out the skirt of her blue and red striped sundress, then wrapped her bike lock around the front tire, securing it to the rack. Meg tested the security of the lock before returning his greeting. She didn’t recognize him, but smiled anyway. He was nice looking in a white T-shirt and plaid shorts. He shrugged and nodded before melting into the crowd. Meg rolled her eyes. Was it possible to annoy herself any more? Why did her nerves always get the best of her? She had to find a way to get over it. To not let talking to someone new leave her tongue-tied and brain dead. Could she try today at this celebration to talk to people? Would it get easier with practice? 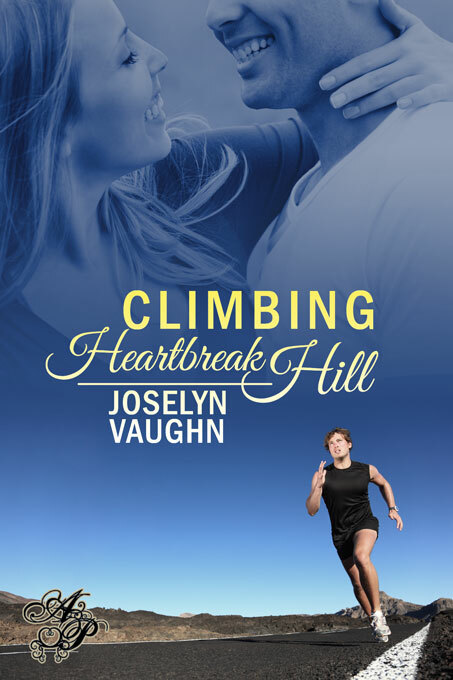 Climbing Heartbreak Hill is on sale right now for only 99 cents. If you haven’t picked up a copy, you can’t pass up this deal. I can empathize with Meg – I’m not sure how I would have extended the conversation either! Nice description of the setting. Looking forward to your new release! This excerpt actually made me want to be there. Lovely setting.